Often on our CVs we engage in overly formal language while blandly reeling off our key skills and experience. Other times we can be overzealous with our attempts at giving evidence and each point becomes swamped with flowery language and unnecessary detail. Although you may be no stranger to the “no more or less than 2 pages” rule, it is more important than ever to submit a CV that is to the point but still packs a punch. However, using concise and relevant language is only half the battle - and this is where many go wrong. Not only does your choice of words have to convey that you have the skills and experience to do the job, you also need to engage in ‘high-altitude’ language that showcases your personality and leaves little doubt that you are the best candidate for the role. This is creating a brand for yourself much like many leading pharmas or biotechs do. Your brand defines who you are and what you can bring to the table – and most importantly, what differentiates you from the competition. Everything that you communicate through your choice of words must be carefully engineered to send the right message to the prospective employer. This is particularly important when you are applying for a role above your current experience level. According to a Forbes article, we have been trainedto use a “standard sentence-fragment-based, list-of-tasks branding strategy that makes us sound like machines”. Although it shows that a candidate can do the job they held previously very well, there is not much there to convince employers that they are ready for a bigger challenge. For instance, replace your opening “I am a clinical research associate (CRA) who wants to work within a clinical research organisation. I have skills in clinical trial monitoring….” with a thoughtful paragraph about how you can use these skills to benefit the company. Then delight the reader with a summary of your best achievements (you could talk about your experience of global trials) and your most relevant and interesting skills. Injecting a bit of personality will go a long way in separating you from the robotic crowd. Your opening paragraph and featured key-skills should adopt this ‘higher-altitude branding’ that proves that you already have the mindset and skills needed to step-up to the role. It is then the employer’s decision to review your experience and evaluate your suitability against the competition. However, you will have already done most of the work needed to convince them, and can rest assured that you’ve done your best to convey your unique brand. Another common mistake is that people often forget that their CV must be optimised for both robot and human eyes. Software that pre-filters CVs on behalf of busy HR teams, known as an applicant tracking system (ATS) has existed for a while, but the technology is becoming more sophisticated. You’ll seldom find a major life sciences company that does not rely on this software to harvest the ‘best of the best’ from a growing mound of applications. Furthermore, it is thought that as much as 60% of all companies use some type of CV scanner - including start-ups – making it yet another HR process for you to get past. Therefore, to have any hope of standing out you must ensure that your CV is strategically optimised and ATS-friendly. However, there is an art to how you should incorporate these keywords. Firstly, repetition is key. The ATS will rank your CV higher if keywords and phrases are cleverly and evenly distributed. It’s worth noting that if you choose to crowd the document with too many keywords, it may squeeze past the ATS, but the human pair of eyes reviewing it afterwards will be unimpressed. Therefore, striking a good balance will appease both robot and hiring manager. Also, be mindful with your spelling of the key words, phrases and acronyms. Not only is this a major red-flag for the people reading your CV, it also makes the ATS’ job very difficult as they will not recognise your incorrect spelling of the word or acronym. This could mean that your CV is immediately disregarded. This final point is a mixture of branding and optimisation. Formatting is something often overlooked as less important than content, when really, it’s a great way to create an ALS-friendly yet personalised CV that is bound to impress. However, it can be difficult to get the balance right. Showing too much creativity may result in a distracting fusion of colours, graphics (i.e. photos or logos) and fonts. These are confusing for the ATS, and your CV may be automatically rejected before you even have the chance to wow a human being. If your CV is too long because you want to include examples of your work or accompanying graphics, consider attaching them as separate documents. Many applications give you the opportunity to do this. However, simplicity is best when it comes to formatting your CV as this is most likely to appease both the ATS and the hiring manager, increasing your chances of getting that interview. For more expert tips on creating a CV that will get you that all important interview, download our CV guide. 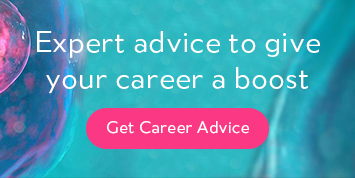 While it’s downloading, you’ll also find some great titbits surrounding career advice and applying for jobs on ProClinical’s blog, which is updated weekly.